Everyone would know someone, directly or indirectly, that has been affected by mental health in some way, shape or form. We do, and that’s why we undertook this project. For us, the main purpose was to show our support to our friends, family and loved ones that have been affected by mental health issues that we care about and want to help. It’s that simple. Why a fishing lure? Well, we both love fishing. It’s a mental release and we know how much better we feel getting out into the great outdoors for a day or even a few hours. If others feel that way too, maybe they’ll buy a lure that they were going to buy anyway and help a great cause in the process. 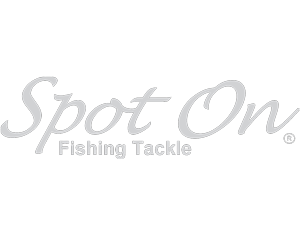 We can't thank Wigston's Lures and Spot On - The Fishing Connection in Hobart enough for their support. When we pitched the idea, both didn’t hesitate to get on board. They didn’t have to, but they did. We hope that you not only support the Mojo lure project but continue to support the businesses like Wigston's Lures and Spot On - The Fishing Connection who are willing to support a great cause without expectation of anything in return. One day, you may need that support yourself. Every dollar from the sale of the lure will go to Movember. All of it. And we will share the total donation on this page so you know your hard earned went straight to the cause. So, grab a lure (or two or three) hit the water and catch a fish on the Mojo lure. Lie about how many you caught if you have too (we do all the time, well at least Sam does). The bigger the yarn, the bigger your smile. And that’s all that matters. It works! And works well. Andrew Large of Spot On Hobart with one of what would be 17 brown trout caught at Woods Lake while testing the Tassie Devil Mojo 18. Boon File with a lovely resident brown trout from the River Derwent caught on the Mojo 18 on its first run in a river.